UX Digital Summit is a two-day conference bringing together an international group of experts to facilitate the exchange of ideas, and discuss the impact of digital innovations, trends, and opportunities that are disrupting the industry. Toptal is proud to be a sponsor of this event, taking place November 29-30. Toptal designer Jenny Shen will be a featured speaker. November 30 at 1:00pm, join her for a talk titled Design for Humans: Build Human-Centered Products with Cognitive Psychology. Jenny will explore key psychology principles for designing intuitive products and how to apply them. She’ll also look at the ethical implications of using psychology and the line between persuasion and manipulation. 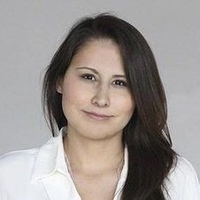 Mariana García, a Toptal designer and Community Leader for Guadalajara, will also be attending. Find Mariana if you would like to discuss any questions about Toptal work or the local community. For more information and tickets, please see the official website.